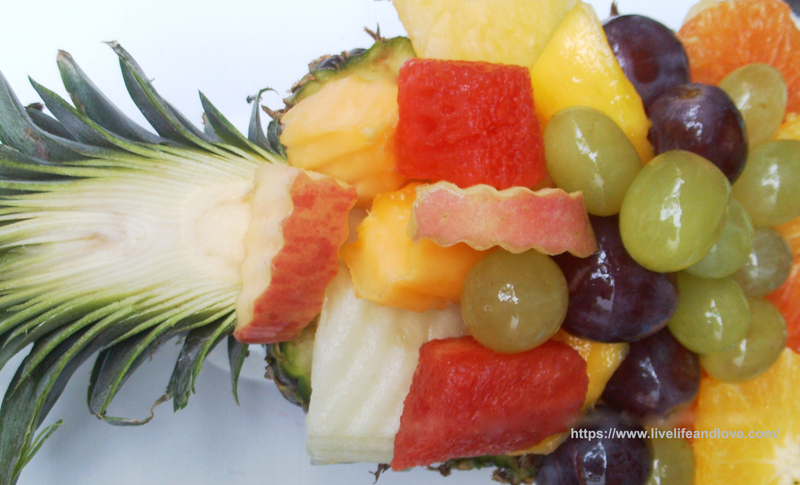 Do you know that a Pineapple boat makes an attractive serving dish for fresh fruit medley? I’ve made the right one to show you a beautiful piece of nutritious art work and a fresh fruit salad on the go! I like fruit salad because they added the advantage of being quick and easy to prepare and generally involve no cooking at all. I served Fresh fruit salad for my family every Sunday more traditionally as dessert but it can also be served as snacks too although, my choice will be guided by seasonal availability of fruits here in the Philippines. 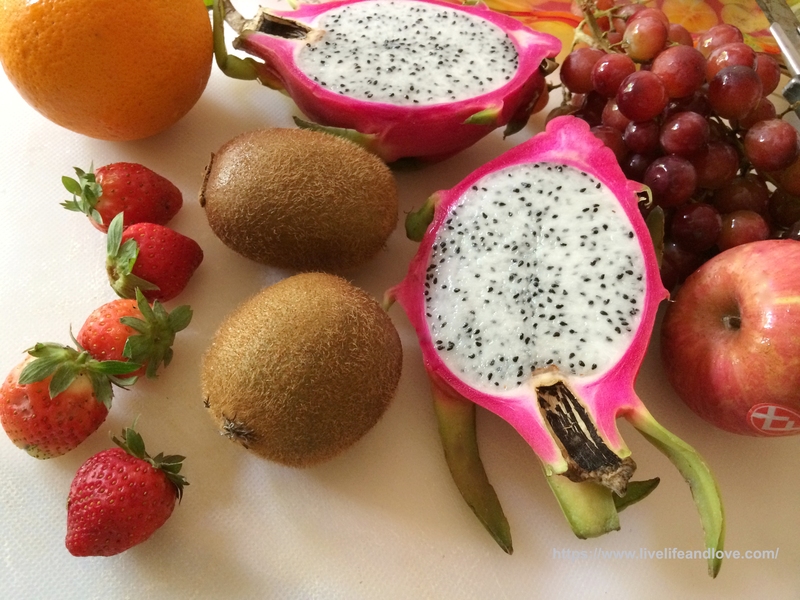 Living in the Philippines means enjoying the different kinds of fruits. A combination and assortment of close-but- different flavors such as; honeydew, ripe mangoes, kiwis, cherries, papaya, grapes, strawberries and watermelon. Almost any fruit mixture looks good and tastes good anyway, there’s nothing to worry about it as long as you know how to choose the fresh, soft and fragrant ones for this preparation. Prepare the pineapple boat as your serving bowl. Cut all fruits into a bite sized pieces; watermelon, strawberry, nectarine, and pears. (It’s up to you what kind of soft fruits you like to include) Photo shown below. Combine in a large bowl with lime juice and golden syrup. 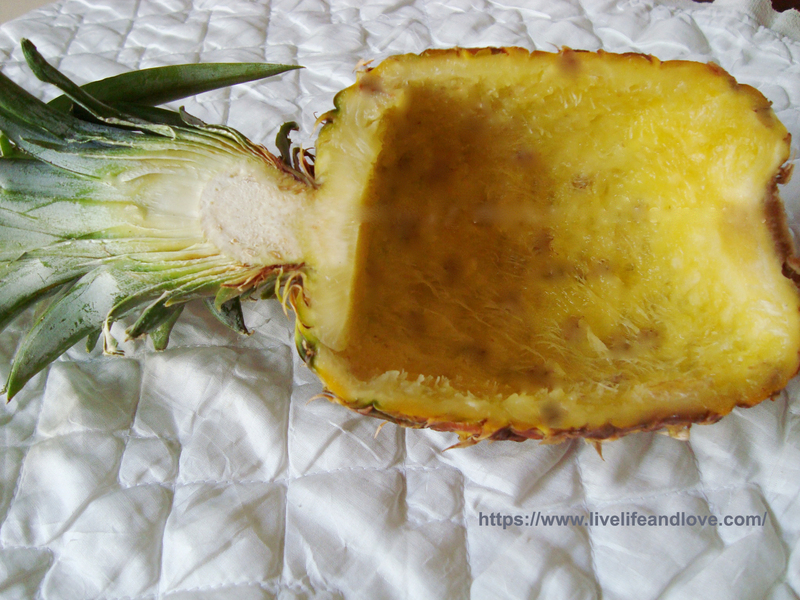 Spoon all fruits into pineapple shell. Cover and refrigerate it for 1 hour. Serve. Keep covered in refrigerator. Not suitable to freeze.